As a native of the Palm Beaches, Chris has watched the area grow and transform over the years. Hard work and commitment to quality were instilled in him at a very early age. As a young man, he was an avid helper in his family’s business where he would install tile and marble. In an era where integrity and reliability are difficult to come by, Chris takes pride in being an honest, hard-working family man who puts the client first; just as his father taught him. After graduating from Stetson University, with a B.A. in Business Administration, Chris entered into the world of finance. Today, Chris is a well-respected veteran that has built a successful career in the mortgage industry for over 20 years. During the early part of his career, he quickly became the broker of choice with a reputation for fast and personalized service and a flawless transaction history. As a result of living by his core philosophy, he continues to have one of the highest referral and repeat client rates in the area. Chris’ professional track record and high ethical standards are unparalleled and provide the foundation upon which his company operates. Chris uses his years of experience as a mortgage broker and the relationships he has built within the banking community to create a plan that is tailor made for the client. He is committed to working closely with clients to help them understand financing options and how to navigate the complexity of the process, from prequalification all the way to closing. He ensures clients understand all of the potential financing options available to them, so that they can feel secure in the financial choice they ultimately make. Using his experience, knowledge, and foresight, he proactively addresses all financial details to ensure a smooth and worry-free transaction. Chris’ specific areas of expertise include: loan qualification, transaction management, and financial structuring. 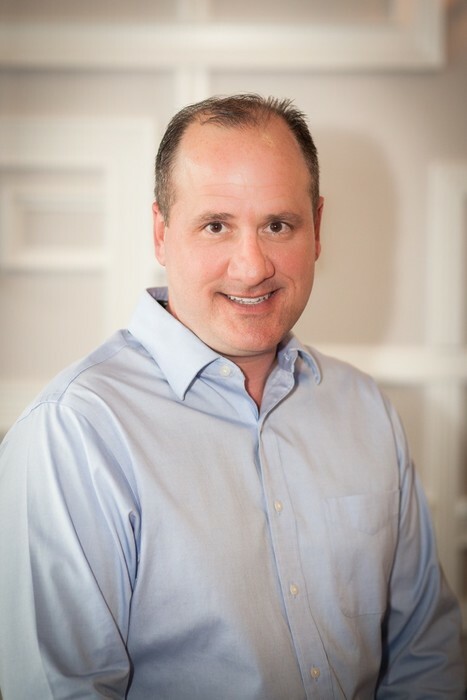 In addition to his commitment to his business practices, Chris is devoted to his family and giving back to the community that he loves by volunteering with the Jupiter Tequesta Athletic Association. He is also a former President of Lambda Chi Alpha Zeta-Tau Chapter at Stetson University on which he sits on the board of Alumni. With over 18 years of experience and over $1 billion in overall mortgage volume, Nanee Maffeo is a recognized leader in the mortgage industry. Growing up in a “real estate and insurance” family, Nanee started in the family business of property and casualty insurance for Federal Insurance, a company founded by her father in 1979, in Palm Beach County. Nanee quickly climbed the ladder from file clerk to head commercial underwriter. She landed and maintained the company’s largest clients, surpassing all other agents. Nanee transitioned from insurance to a licensed loan officer in 1999. An background in management, underwriting, and sales has well prepared Nanee to successfully sort through the many loan programs enabling her to offer her clients mortgage financing that best fits their needs. Nanee’s continued education and demonstrating a professional attitude assures and reflects a commitment to mortgage lending as her passion. As an addition to assisting you with lending needs, Nanee is an enthusiastic member of the community, a loving mother and a member of BNI of West Palm Beach. Kacey Atkinson was born and raised in Michigan, and moved to Florida in 1998 after graduating with her Bachelor’s degree from Eastern Michigan University. She currently resides in the Acreage, and has been married to her husband Eric for 18 years. She has two boys 8 and 18, and her favorite pastime is camping and four wheeling. She worked for Nova Southeastern University as a financial aid professional for 10 years while she earned a MBA and a Master’s in Guidance Counseling. In 2008, Kacey started working for South University as a Director of Financial Aid, and worked her way up to the Assistant Chancellor of Student Financial Services overseeing 12 campuses across the East Coast. After working in Financial Aid for 20 years and helping thousands of students achieve their educational dreams, she has transitioned into the Mortgage Loan Industry. Her years of experience in leadership and customer service adds value to Cast Home Loans, as we continue to grow in the local market. With over 9 years of administration background Nicole Lopez has brought a strong set of skills in developing the front office of Cast Home Loans. Being born and raised in South Florida, she has a dedicated following in the local Hispanic community. Her goal at Cast Home Loans is to create an environment that values diversity and professionalism, while maintaining a dedicated focus on our client’s needs and goals. While not at work, Nicole enjoys spending time with her two beautiful children.